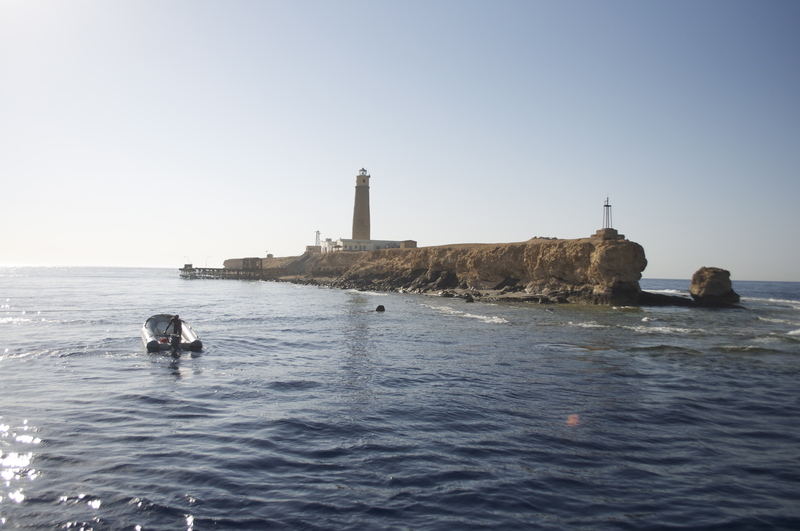 I have to be perfectly honest and say that this last technical expedition to the Brother islands and Safaga was a perfect reminder of why we dive the Red Sea, and why the Red Sea is still one of the most popular diving destinations in the world! OK, so now we have the boat and technical team covered, the obvious next big aspect of the trip would be the dives themselves. And wow, did we have some great dives. 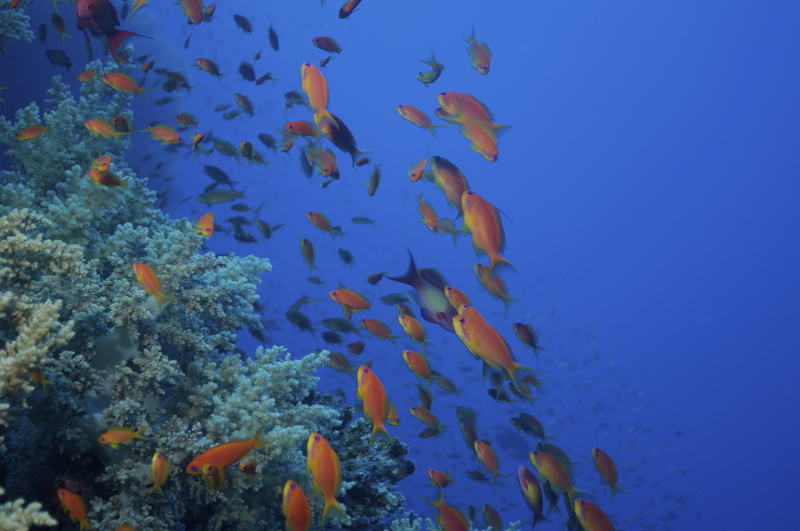 We started off the week with two local dives in the Hurghada area. 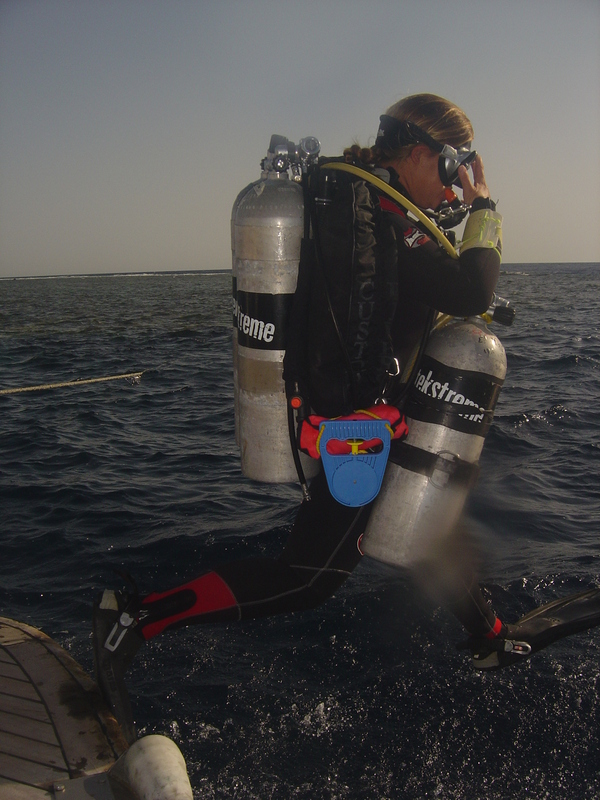 Time was spent making sure that all equipment worked correctly, the weighting and trim of all divers was good and generally getting back into the water for many. 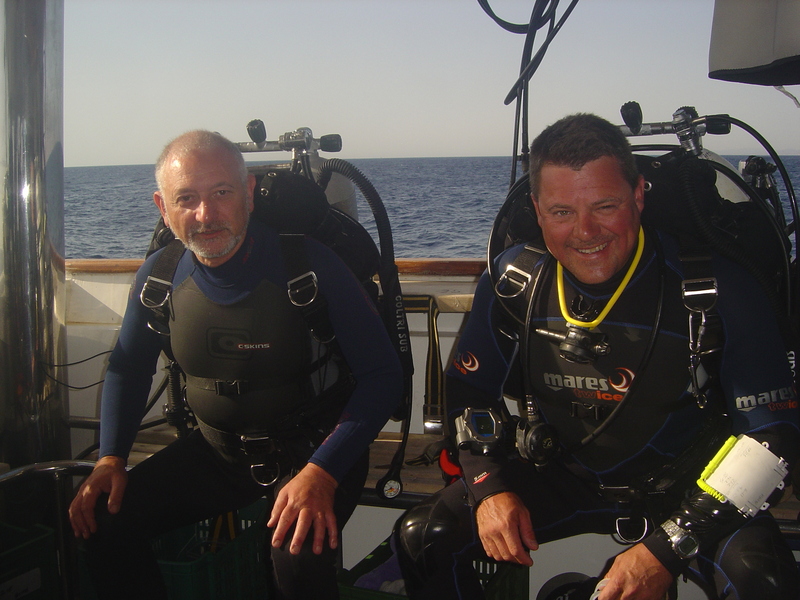 On this day Mattjin began his TDI CCR Air Diluent course and Georgios began his PADI Tec 40. Pete, Mike and Lizzie all made a nice long deco dive along the eastern wall of Abu Ramada as they had managed to sneak in a few days of tech diving before the trip began so all check dives were done already. On a downside (and you will see a pattern emerging to these downsides) Simon Vogler came back to boat minus one Heinrichsweikamp OSTC computer!! Don’t worry Simon, I will be back in that diving location in the future and will hunt it down for you, if it has not already been found. Gutted it was a nice computer! After an early morning dive at Small Giftun we immediately set sail heading towards Safaga and to the wreck of the Salem Express. The weather conditions were perfect. A very light breeze and a very mild current. The visibility was fantastic, a good 30m, and sea temperature at around 26 degrees. All divers had a nice long multi level dive on the wreck with no other divers in the water. On a downside Simon Fordham this time, came back to the boat minus one emergency surface marker buoy and his Jon line! Simon was a bit luckier than the other Simon (gets confusing when there are multiple people with the same names but try and keep up!) as luckily I had seen both items drop at the very beginning of the dive and managed to do some salvaging, this time all items were recovered. During that afternoon as the seas were flat calm we travelled directly to the Brother Islands. First port of call Big Brother. The current check was made early in the morning and revealed a slight current heading down the eastern wall with almost nothing on the wreck itself. Perfect. All divers were dropped directly over the wreck and all enjoyed a very chilled out dive covering the wreck from bottom to top. Shaun Fox, Simon Fordham and Ola Nielson had a nice 16/40 trimix to enable them to explore closer to the bottom, whilst the remaining divers were working their way from 50m upwards. Nothing like seeing an awesome wreck to distract student technical divers from their dive plan!! Saying that, George and Mattjin are still doing very well in their course dives. On a downside (are you seeing the pattern yet?) Lizzie came back to the boat minus one wrist slate!! Unfortunately to retrieve this one it would mean a dive to around 100m +, maybe on the next trip huh Lizzie! 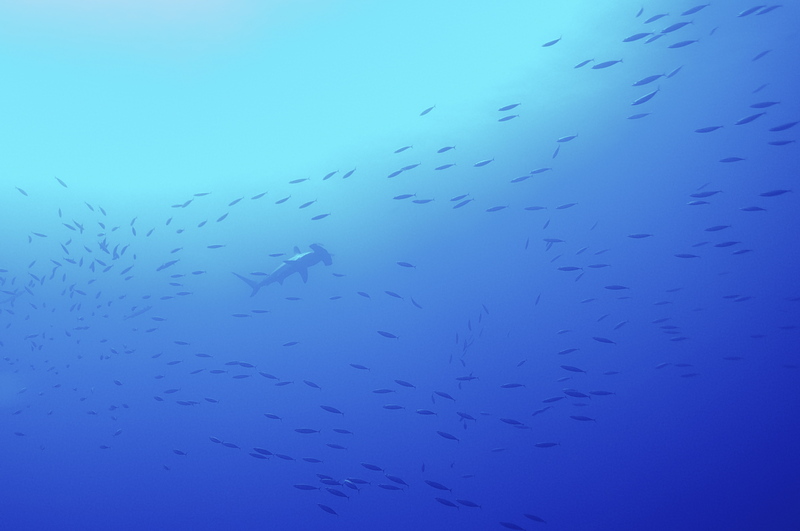 The afternoon dive was around the southern plateau of Big Brother to search for the Thresher Sharks. As we drifted gently down the western wall approaching the south plateau all was great, we even had our first sighting of Grey Reef Shark, and then we hit the corner onto the plateau, or shall I say the corner hit us. The current was amazing. It picked up substantially by the time we reached the plateau and was swinging divers around the corner onto the eastern wall!! The only way to have prevented this is if you had a scooter! (Mental note made for next trip, must invest in scooter… or maybe two scooters!) With the absence of said scooters, all divers had no choice but to go with the flow and end up on the other side of the reef, not such a bad thing as it turns out as more Grey reef Sharks were spotted on the wall and Duncan even reckons he did see a Thresher. (There was no photographic evidence of this sighting even though he has the biggest camera in the Red Sea!! ) On a downside….well, actually there was no downside for this dive; all divers came back to the boat with all their equipment in place. Yeh, happy divers! Once back on board there was no rest for Mike, Pete and Lizzie who now got to try their hand at some real gas blending not just theory. 8 full nitrox decompression tanks later and around 5 hours later, they are done for the day. We hoped the filling would get slightly quicker!!! That afternoon most of the other safari boats had left Small brother Island and so we took this to our advantage and quickly changed island. Our afternoon dive was to explore the south and western wall of Small brother. Now, I kid you not, I did the current check which showed a mild current coming down that western wall, by the time all the divers were in the water it had picked up some what, in fact, it had picked up a whole lot!! No worries, luckily the eastern wall had more shelter and once again the slightly changed dive plan resulted up in divers in the eastern area to see more Grey Reef Sharks. Not a bad dive after all! On a downside (and I do have these for every dive!) Georgios came back to the boat minus one large 100m reel. He apparently decided that he did not like the reel he was using and decided to donate it to the sea, well that was his story anyway!! The following day was our last day at the Brother Islands and the plan was to dive the northern plateau on both dives. Up until now we had had relatively mild currents in the mornings and so we were hopeful that this would be the case. The current check showed the current to be stronger and coming over the northern plateau. The briefing to the guests was as simple as, roll in and get down….quickly!!! Hmmm, not as easy as it sounds when you are fully kitted up in twin sets and deco tanks or rebreathers and bailout tanks and for some not the smallest of cameras and also for some who also are still diving in dry suits!! It was a very interesting dive with up currents, down currents, left to right currents, right to left currents and every other direction you can imagine. I think all divers came to the same conclusion that it was a good experience dive! I do have to say with such currents the reef comes to life. It was absolutely incredible to see so much marine life if you had chance to notice it!! Funnily enough though, nobody actually lost any equipment!! Figure that one out! For the afternoon the guests were a bit anxious about trying that dive again and so a compromise was reached. We would start on the eastern wall and swim towards the north as far as we could until the current was too strong. You would not believe it, but not only had the strength of the current dropped, it had pretty much disappeared completely. We could all hang over the plateau with ease watching the circling Hammerhead above, looking in the blue for the Grey Reef Sharks and this time it was my tern to spot a Thresher (no photo evidence of course!) On a downside (here we go again) Pete returned back to the boat minus one NHeO computer. Nice way to say goodbye the Brothers! We then travelled during the late afternoon and evening to end up back in Safaga for our final dive of the trip the following morning. By this point Mattjin is now a certified CCR diver, Georgios a certified Tec 45 diver, Mike, Pete and Lizzie as Gas Blenders. 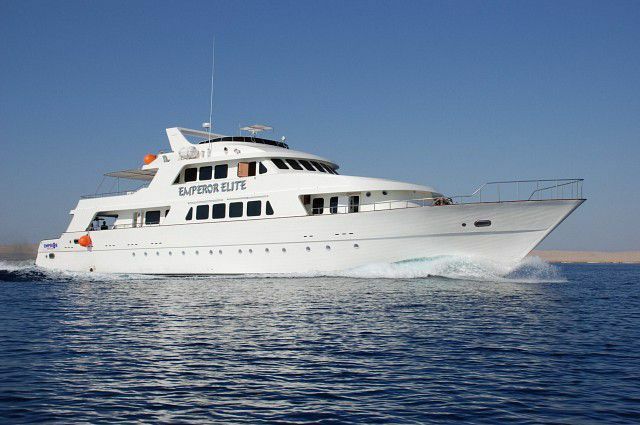 Time for a final dive for everybody to relax and enjoy the majestic soft and hard corals that the reef has to offer. 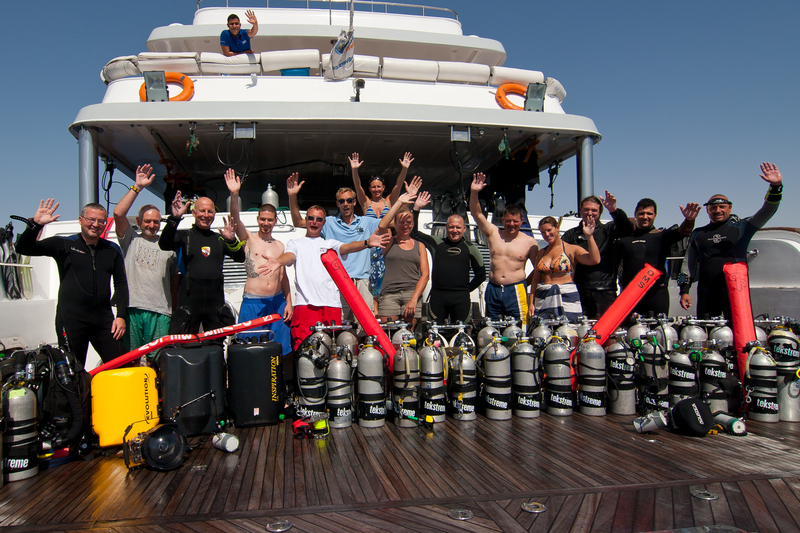 For Ola, Simon and Shaun it was the last 90m dive of the week and where better to do this but at Panarama reef. It was a week of amazing diving, with great guests, being on board a great boat with an awesome Captain and crew I don’t think anybody could have asked for anything better. It really does remind us all how lucky we are to have such an amazing environment on our doorstep. Many thanks to everybody on board the trip and we hope to see you again soon. Pete, Mike, Lizzie, Shaun, Ola, Georgios, Irena, Simon, Simon, Mattjin, Chris, Duncan, Szilard and me. There are only 15 places available so contact us now to make sure you reserve your place. Amazing week, thanks to everybody involved! Book me in for July 2013!!!!! tell us all about it next time we see you. it looks amazing.